Also delivered today is the judgment of the Court of Justice of the European Union in Case C‑422/10, Georgetown University, University of Rochester, Loyola University of Chicago v Comptroller General of Patents, Designs and Trade Marks, this being a reference for a preliminary ruling from the Patents Court, England and Wales. In June 1993 Georgetown University applied for a European patent entitled ‘Papillomavirus vaccine’, for a human papillomavirus (PV) L1 protein capable of inducing neutralising antibodies against papillomavirus virions. There are many human papillomavirus (HPV) genotypes, which are grouped according to the similarity of their DNA sequences. Types 6 and 11 are responsible for condylomas, whereas types 16 and 18 are responsible for precancerous lesions in the genital region and also cervical cancer. The Georgetown University patent claims included a vaccine for the prevention of papillomavirus infection, comprising at least that protein, or fragment thereof, of, among others, HPV‑16, HPV‑18 or HPV‑16 and HPV‑18 together. That patent, granted on 12 December 2007, is due to expire on 23 June 2013. In December 2007, relying on a marketing authorisation (MA) granted to Sanofi Pasteur in September 2006 for the medicinal product Gardasil, containing HPV‑6, HPV‑11, HPV‑16 and HPV‑18 purified proteins obtained from yeast cells (Saccharomyces cerevisiae), Georgetown University filed four SPC applications, identifying the product as ‘the recombinant L1 protein’ of HPV‑6, HPV‑11, HPV‑16 and HPV‑18 (SCP/GB07/079, SCP/GB07/073, SCP/GB07/080 and SCP/GB07/078), respectively. Relying on an MA granted to GlaxoSmithKline Biologicals in September 2007 for the medicinal product Cervarix, containing HPV‑16 and HPV‑18 purified proteins obtained from insect cells (Trichoplusia ni), Georgetown University filed two SPC applications identifying the product as ‘the recombinant L1 protein of papillomavirus type 16 as expressed by an insect cell’ (SCP/GB07/071) and ‘the recombinant L1 protein of papillomavirus type 18 as expressed by an insect cell’ (SPC/GB07/70), respectively. The UK IPO rejected all these applications for failure to comply with the condition laid down in Article 3(b) of Regulation 469/2009, since the medicinal product for which the MA was granted contained more active ingredients than those for which SPC protection was sought. 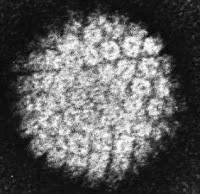 In March 1994 the University of Rochester applied for a patent entitled ‘Production of human papillomavirus capsid protein and virus-like particles’ for ‘a method of expressing the human papillomavirus capsid protein coding sequence of type 6 ([HPV]-6), type 11 ([HPV]-11) …’. The patent claims included a ‘purified recombinant human papilloma virus-like particle or capsomere which comprises human papillomavirus 16 ([HPV]-16) L1 capsid protein expressed from an L1 protein coding sequence …’ and ‘… a multivalent vaccine comprising a virus-like particle from different human papilloma viruses’. That patent was granted on 25 May 2005 and is due to expire on 7 March 2014. T IPO granted the University of Rochester SPCs based on the MAs for Gardasil and Cervarix, identifying the product as ‘the combination of the virus-like particles of the recombinant Ll protein of human papillomavirus types 6, 11, 16 and 18’ (SCP/GB07/018) and ‘the combination of the virus-like particles of the recombinant Ll protein of human papillomavirus types 16 et 18’ (SCP/GB07/076). However, it refused to grant a SPC based on the MA for Cervarix identifying the product as ‘the virus-like particle of the recombinant L1 protein of human papillomavirus type 16 as expressed in an insect cell’ (SCP/GB07/075), for failure to comply with the condition laid down in Article 3(b). In October 1995 Loyola University of Chicago applied for a patent entitled ‘Papilloma virus-like particles, fusion proteins and process for producing same’. The patent claims included ‘recombinant-produced papilloma virus-like particles that are formed after expression of the viral structure proteins Ll or Ll and L2, characterised in that one or more sections of the Ll protein are deleted, wherein the ability to form virus-like particles remains’. That patent was granted on 10 May 2006 and is due to expire on 8 October 2015. The UK IPO granted a SPC to Loyola University of Chicago identifying the product as ‘the combination of the virus-like particle of the recombinant L1 protein of human papillomavirus types 16 and 18’ based on the MA for Cervarix (SCP/GB07/077). However, it refused to grant a SPC based on the MA for Cervarix identifying the product as ‘the virus-like particle of the recombinant L1 protein of human papillomavirus type 16 as expressed in an insect cell’ (SCP/GB07/069), since the application thus worded, based on the MA for Cervarix, failed to comply with the conditions laid down in Article 3(b). The Patents Court, before which all three SPC applicants appealed, decided to stay the proceedings and refer the following question to the Court for a preliminary ruling, which is worded in the same terms as the sixth question referred by the Court of Appeal (England and Wales) in Case C 322/10 Medeva. Initially this case was joined with Case C‑322/010 for the purposes of the oral procedure and the judgment. However, in view of the factual differences between the situations at issue in the main proceedings, the cases were disjoined. "Article 3(b) ... must be interpreted as meaning that, provided the other requirements laid down in Article 3 are also met, that provision does not preclude the competent industrial property office of a Member State from granting a supplementary protection certificate for an active ingredient specified in the wording of the claims of the basic patent relied on, where the medicinal product for which the marketing authorisation is submitted in support of the supplementary protection certificate application contains not only that active ingredient but also other active ingredients". As with this morning's earlier post on Medeva, comments will follow in due course.